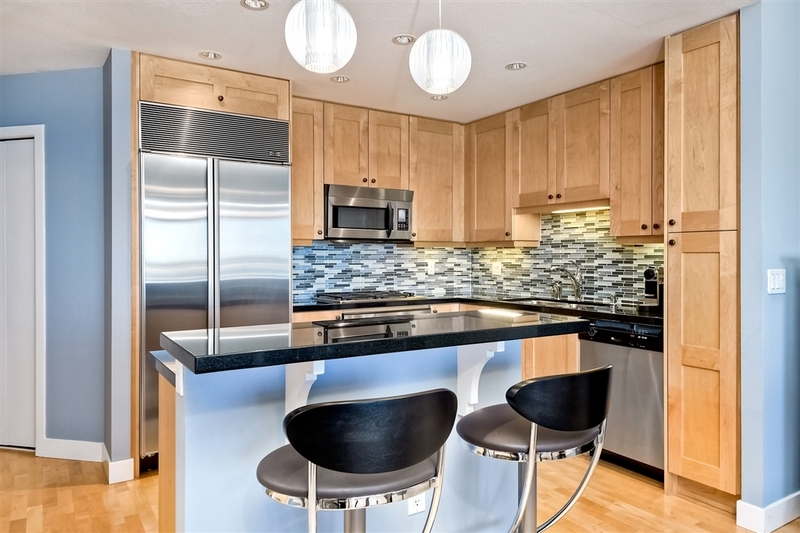 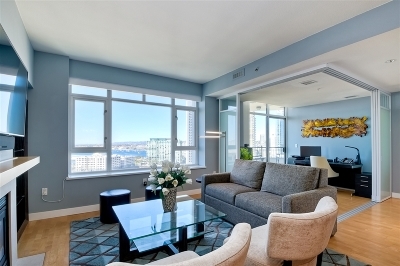 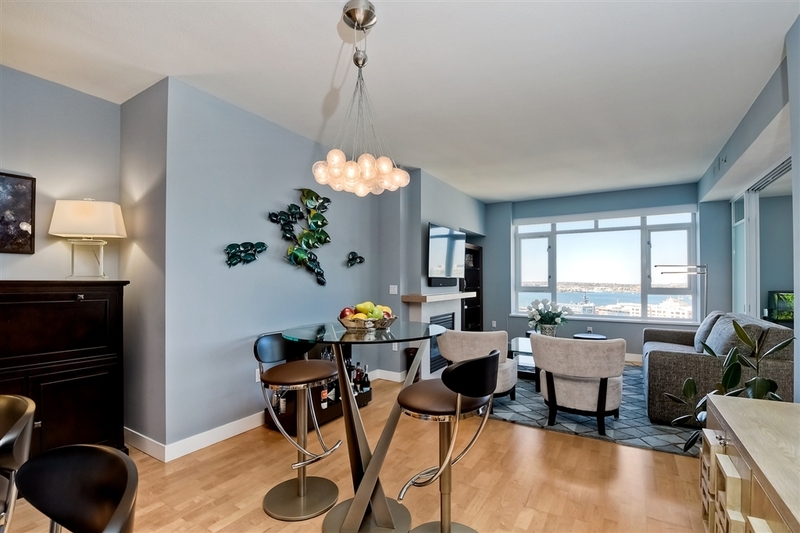 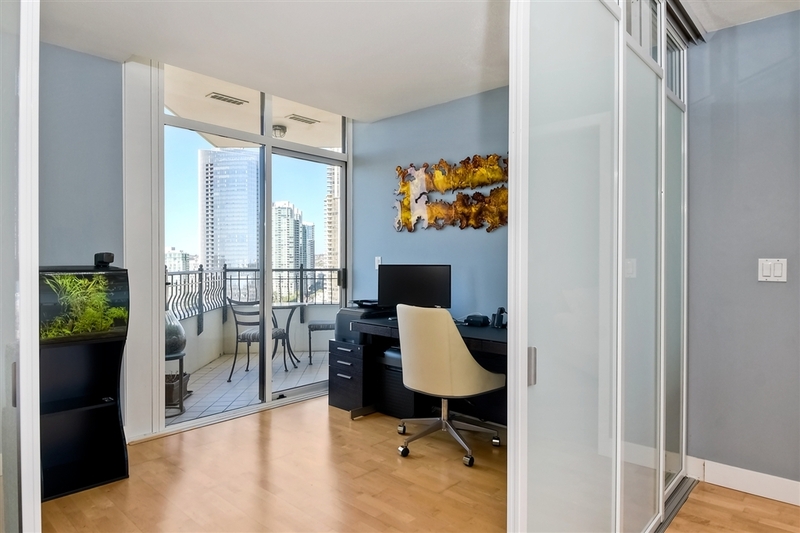 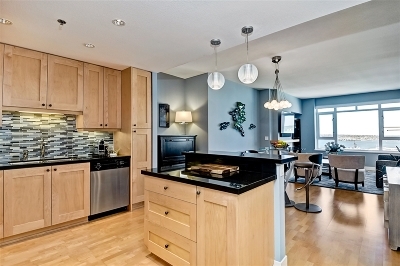 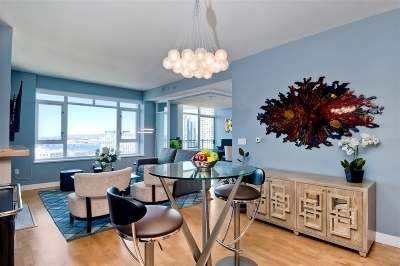 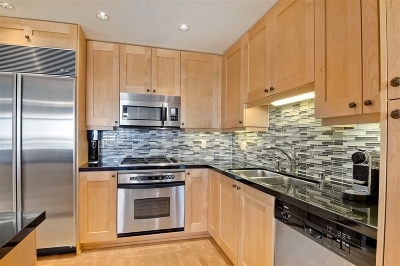 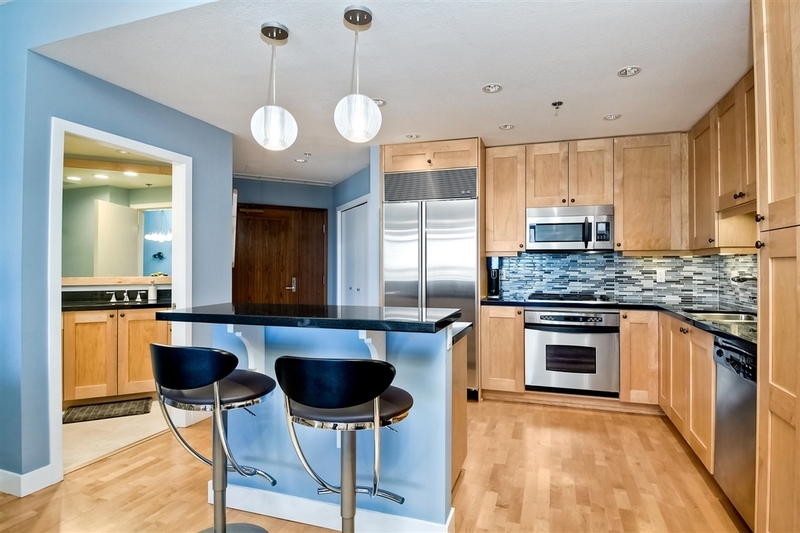 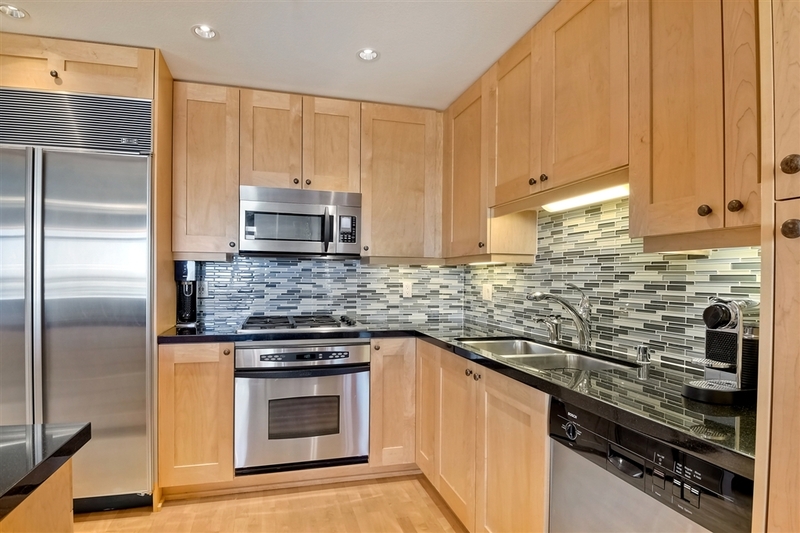 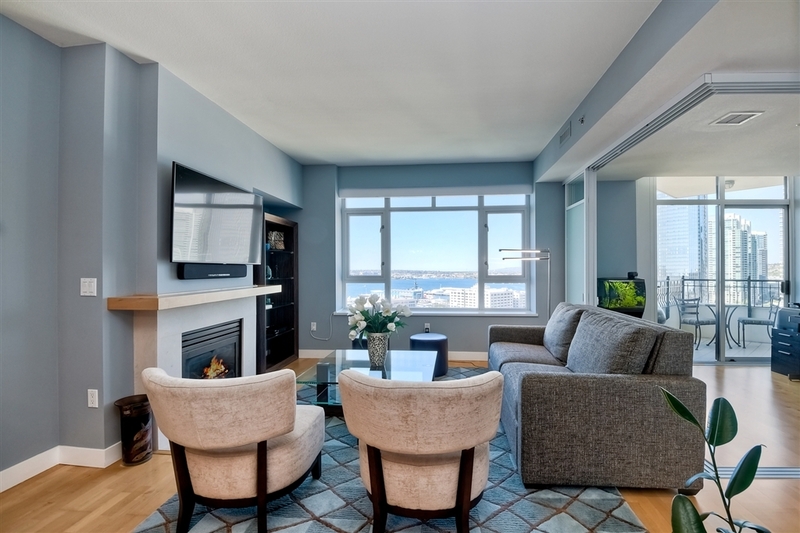 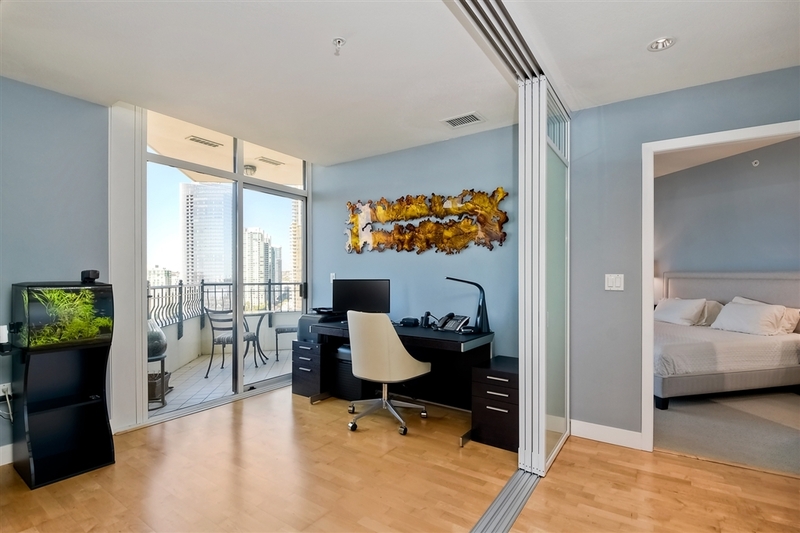 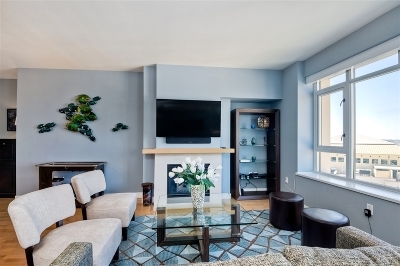 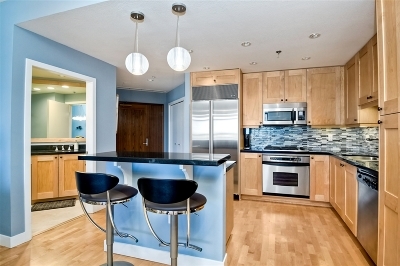 Feast your eyes upon this Urban Chic west facing 18th floor Residence! 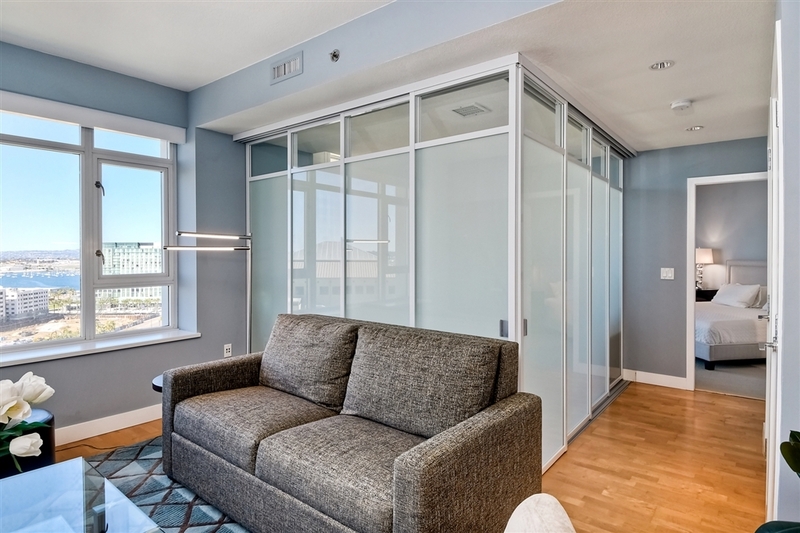 Fabulous one bedroom, plus den (or 2nd bedroom) two bath, two parking offering Bay/Ocean, City, Sunset views and located just a stone's throw from the current Manchester Pacific Gateway project. 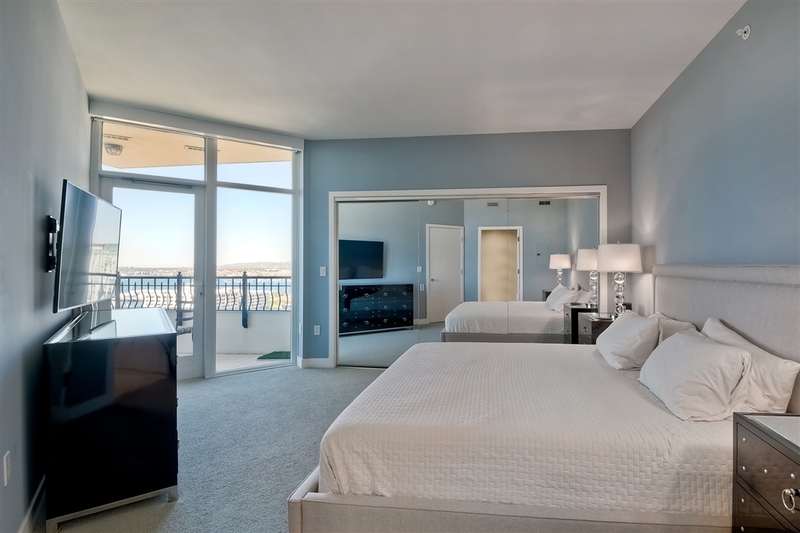 Beautifully appointed kitchen and baths, upgraded lighting, electric blinds and spacious balcony to soak up those exquisite sunsets! 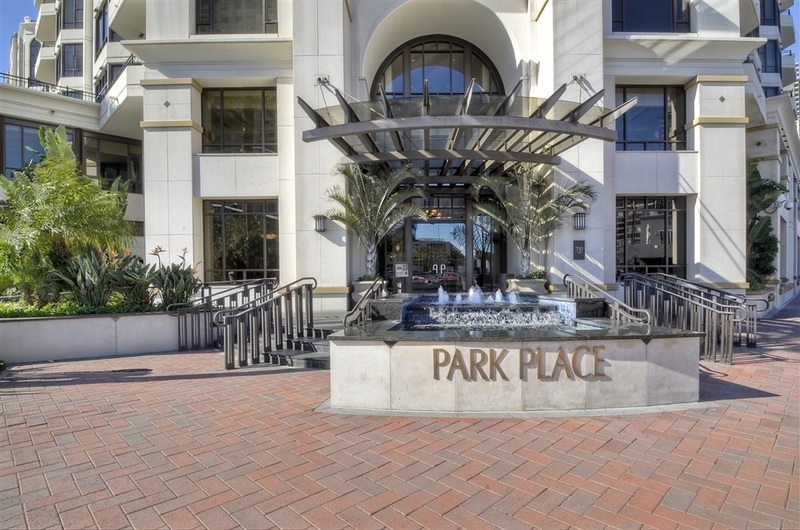 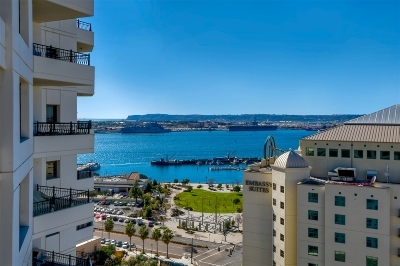 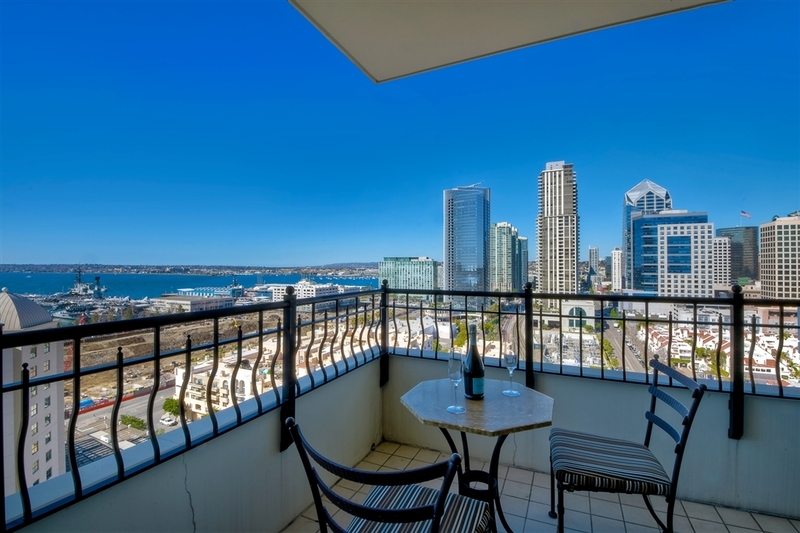 If you're looking for an energizing urban lifestyle in the best location Downtown come and spoil yourself here!, Park Place is one of the most desirable communities in Downtown San Diego and located on the corner of Harbor Dr. and Kettner Blvd. 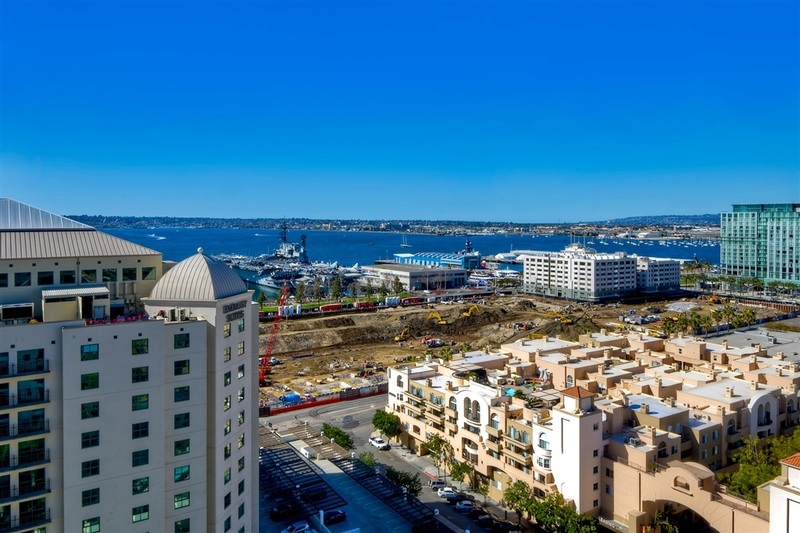 just across from Seaport Village/Headquarters and soon to be Manchester Pacific Gateway on Pacific Highway just behind Park Place. 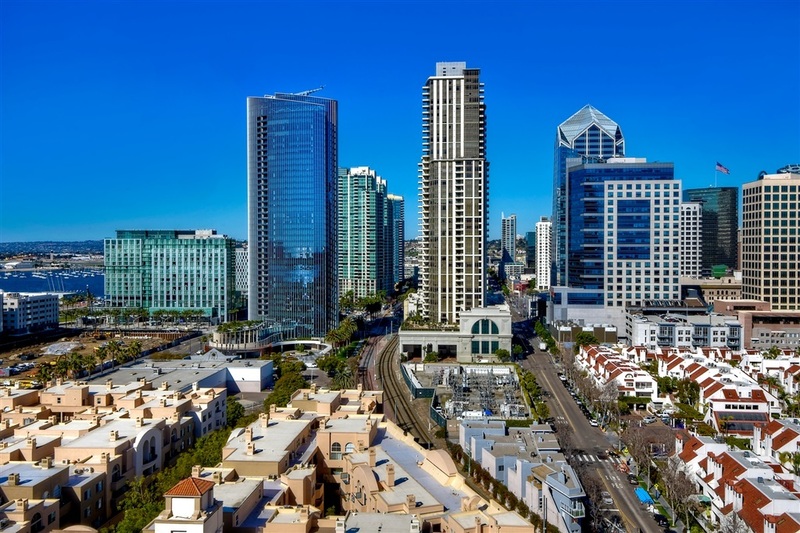 "Manchester Pacific Gateway will be one of California's most stunning and iconic waterfront developments, giving San Diego a world-class destination on the North Embarcadero of the San Diego Bay". 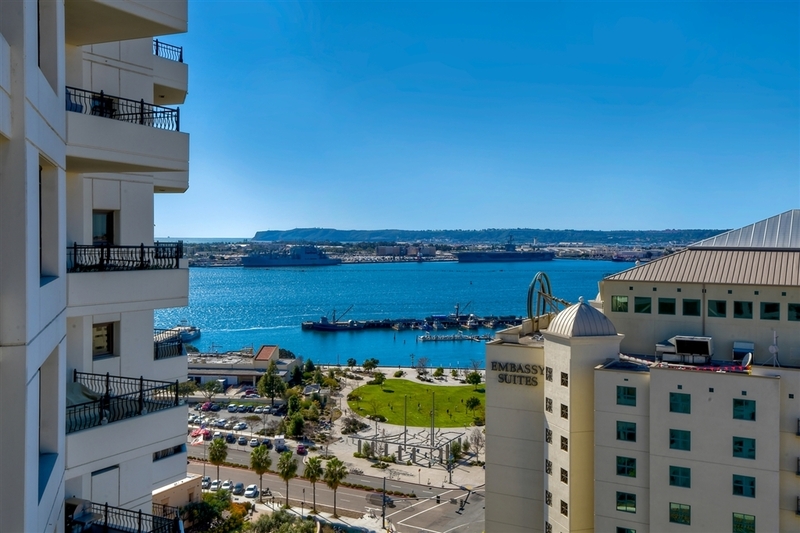 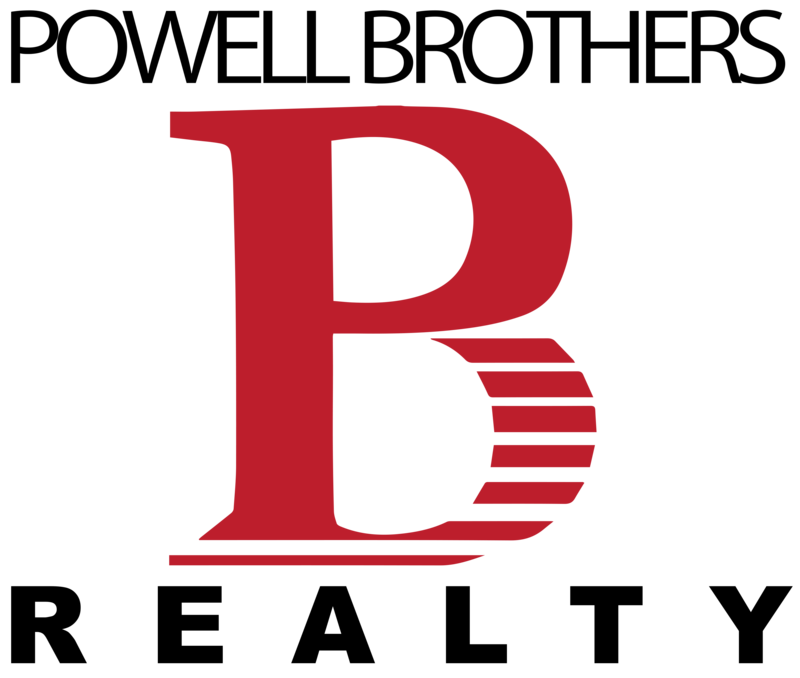 Destined to be the premier waterfront location, locals and tourists will enjoy first class restaurants, shops, hotels and more! 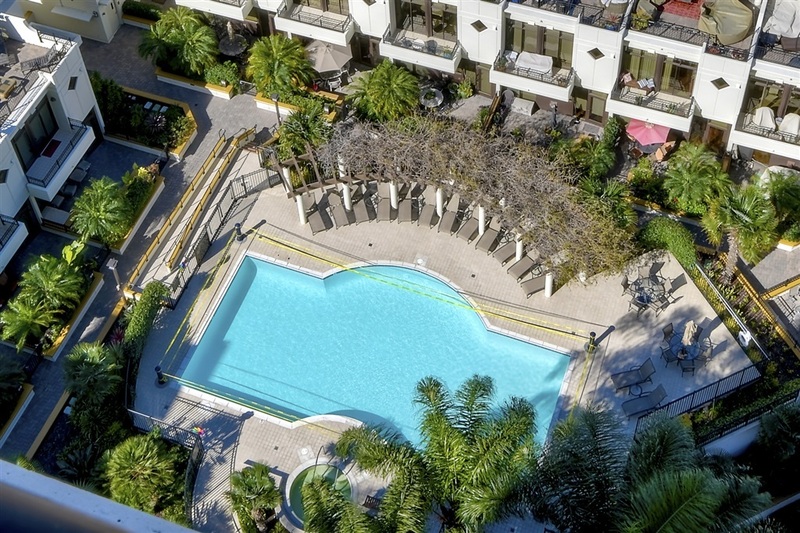 The community of Park Place offers a superb location, lushly landscaped resort like pool/spa and BBQ's for entertaining your most discerning guests or just relaxing by the pool. 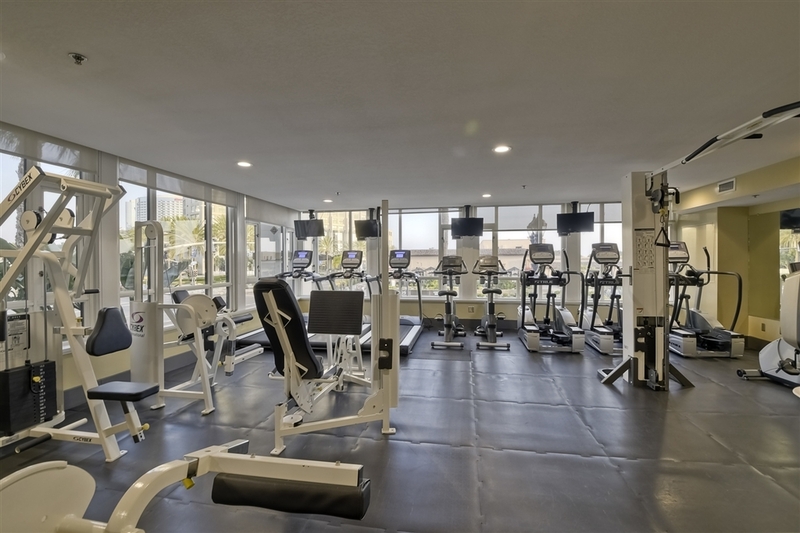 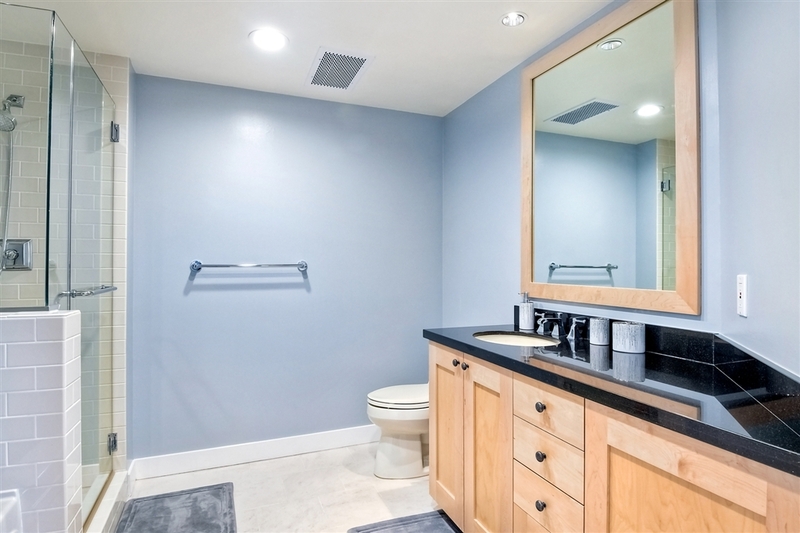 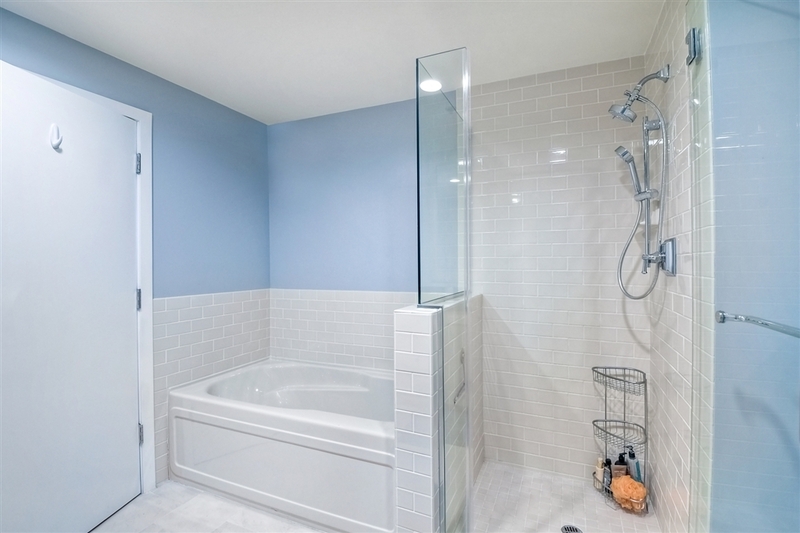 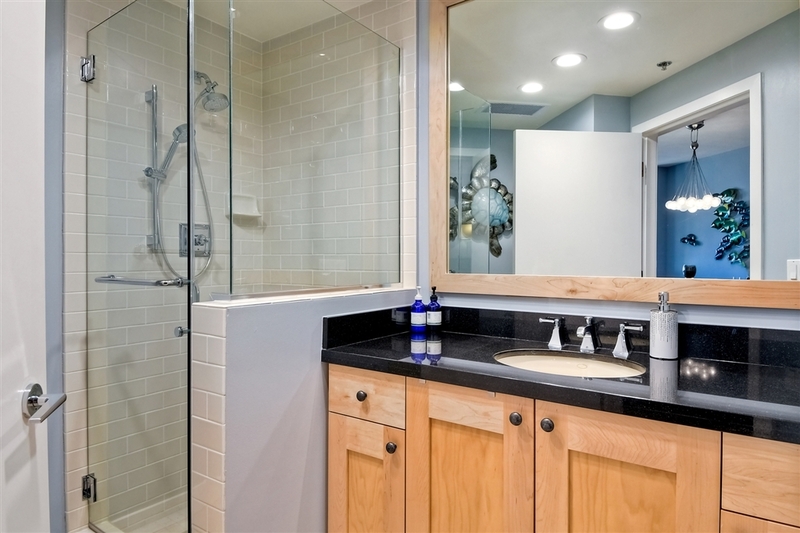 Amenities include a spacious fitness center, community room w/kitchen, 24 hr. 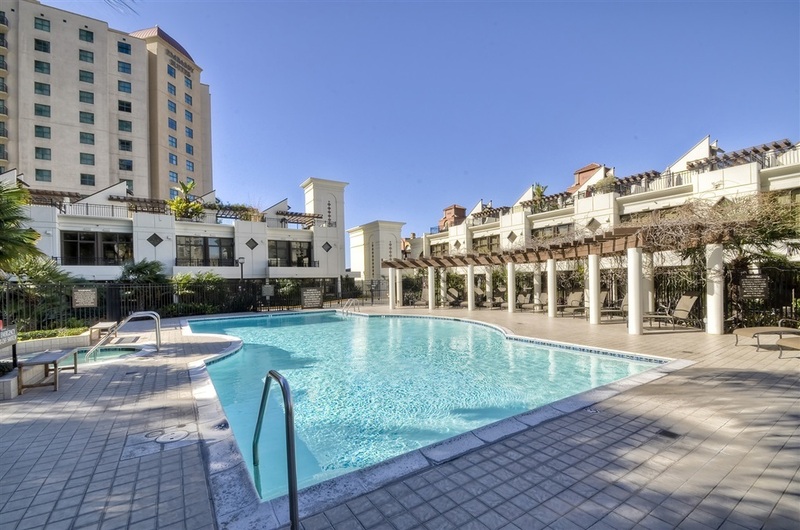 security, grand lobby entrance, bike storage, and 10 guest parking spaces on a first come first served basis. Come and see why Residence #1806 is the one for you!